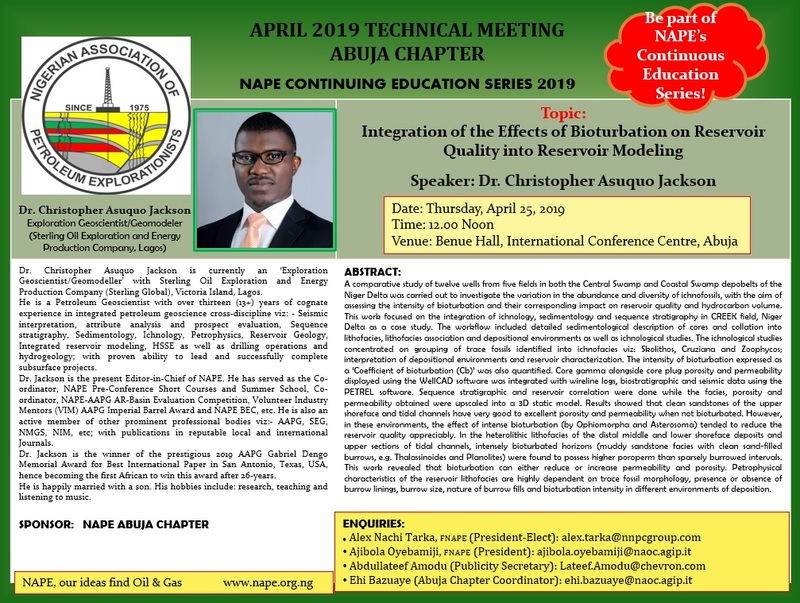 You are invited to the Abuja Chapter April 2019 Technical/Business Meeting which will be held on Thursday April 25, 2019 at the Benue Hall, International Conference Centre, Abuja by 12.00Noon. The Speaker is Dr. Christopher Asuquo Jackson. The meeting is sponsored by NAPE Abuja Chapter.